With modern security cameras and home technology related products on the market today, there are many ways that your home and can be secured. This includes a Security System which will is linked to a customer’s cell phone or computer device. The reason it is linked to the computer or mobile device is for an alert that the software is detecting which is being signaled from your home. The alerts basically signal to the customer that someone is near or inside the home. It can also detect other elements such as a fire, gas, or that someone is trying to get in when home owners are not there. Nevertheless, the Power Tools which are available for homes today are controlled by remote controls. 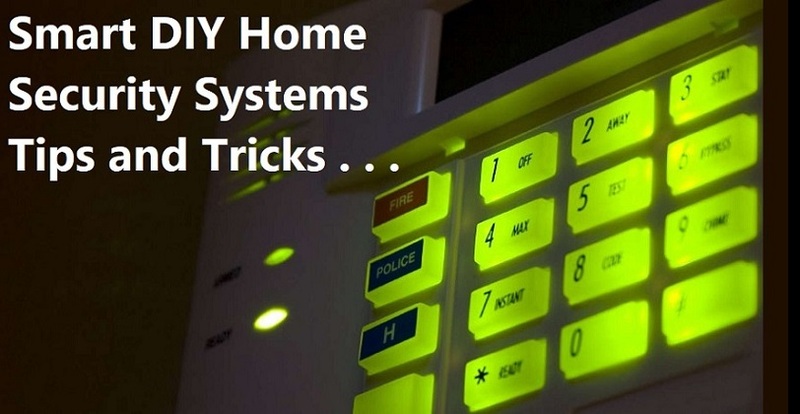 Security Systems normally will contain the network of internal devices which are protecting the homes they are connected to form "burglars and other home invaders". Some other detection in homes monitor "field approximately 25 feet in a 90 degree" space. With monitor systems such as these, they can detect fires, carbon monoxide, detects movement, and any door activity. There are hundreds upon hundreds of homes that are now classified as "Smart Homes". According to Fast Company (Dec. 26, 2016). While we may not see our work being done for us when it comes to house cleaning, we have home security such as home monitoring systems that will detect someone on our property which should not be while we are away. More than half of tech savvy owners have their homes equipped with hi-technology gadgets such as Home Security Monitoring Systems. How can we be sure that our home is safe and secured when we leave our house in the morning, noon or night? Well, there are tools for home security which are reliable enough to keep your property and personal belongings safe and secured. If not, their systems have a way to alert authorities and you while you are away. Home security monitoring systems are now computerized and linked to customers' security home monitoring companies which then alert authorities as well. These are now considered a wise thing to have for homes because they are hooked up to advanced computer programs and software which is then linked to security companies that can detect what it is the system is detecting. The security systems are equipped to handle mobile access, thus, it alerts customers' mobile devices. There are many things that are controlled remotely, although since they have their own IP addresses which can be computer or mobile accessed. Nevertheless, "The Smart Devices" are connected to the home owner’s devices. Having a "smart home" is the way to be sure your belongings are safe. All in all, technology devices are everything for home owners. With Smart Technology, many lives have been saved, property saved and thieves caught right on camera. This is what some of the gadgets today are keeping safe, and that's your home, so rely on the latest in advanced Home Security Systems.